The Ohio State Buckeyes have had a number of great basketball coaches in their storied history. While there have been plenty of good ones, it’s not recency bias to say that Thad Matta has been the best. He changed the game in Columbus. A football school, there were times throughout February through April that made Ohio State seem like a basketball school simply because of how good the basketball Buckeyes were. When he was let go by Ohio State prior to the 2017-18 season, many people questioned the move. While there were plenty of questions, it was clear that the program had to move on from arguably the best basketball coach in school history. Whether it was due to him being a clean coach during a period of time when there was (and still is) plenty of corruption in college basketball or just the program going in a downward spiral. With Chris Holtmann taking over and continuing the success that Matta once had, some weren’t sure how the former coach would be remembered. The majority of Buckeye Nation would always love Matta, but there were some that weren’t sure if Matta and the university were still on good terms given how things ended. Last Wednesday night proved that Matta still loves Ohio State and that the Buckeyes feel the same way about him as well. A little over 17 months after he was let go, Matta returned to the Schottenstein Center for the first time. During halftime of Ohio State’s game against Syracuse, they honored the coach with a special, emotional video that may just give you some goosebumps. Not only did he speak to the crowd, but a banner was also unveiled in his honor. While talking to the crowd, Matta became emotional when he started talking about his former players. It was obvious how much his players meant to him. 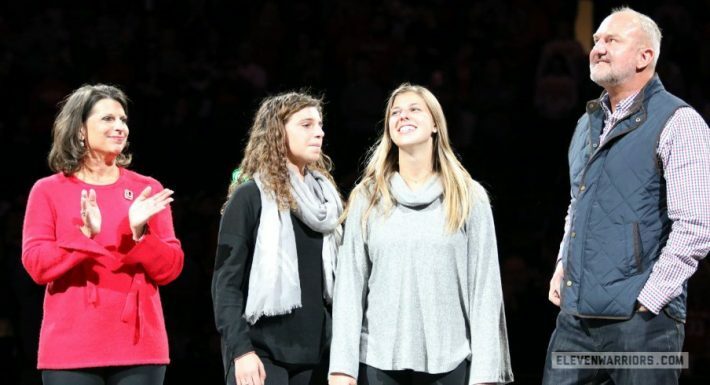 “I only hope that every time one of my former players comes in here, and they look up there and they smile,” the former head coach said. In case there was any worry that they wouldn’t, it’s clear that they will. We will!! That’s s fact. 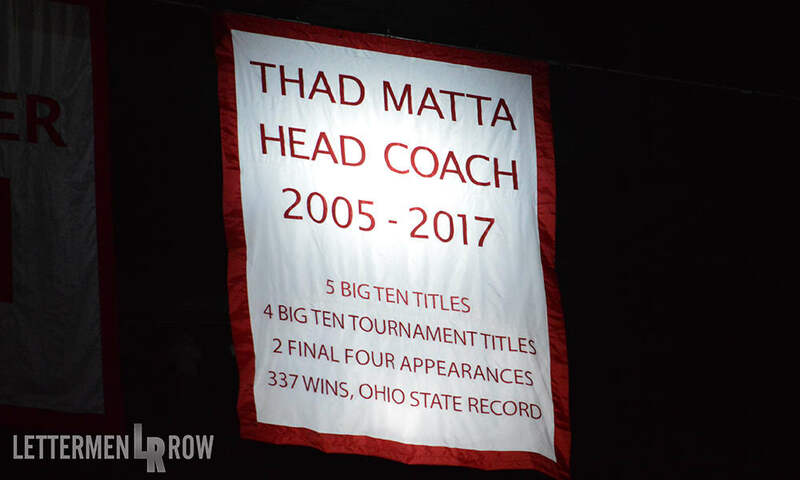 With their Throwback Night a week and a half ago paired with honoring Matta at halftime last week, including unveiling a banner for him that will always be in the rafters, Holtmann continues to do everything right since he became the head coach at Ohio State in June 2017. Add in the success that the Buckeyes have had on the hardwood and Holtmann not only seems like a perfect fit, but has made it known that he appreciates the guy that he took over for as well. Honoring Matta was the correct thing to do and it truly is awesome to see Holtmann continue to make all the right calls both on and off the court for the Buckeyes. Ohio State may have lost to Syracuse, but that was an afterthought when it came to what was most important last Wednesday night. “I’m not sure I deserve that banner up there, but since it’s up there, what the hell, let’s keep it. Thank you,” Matta said to the crowd. No, thank you, Coach. And thank you to Holtmann and the Buckeyes for honoring the former coach in such a cool way as well. It’s well deserved.